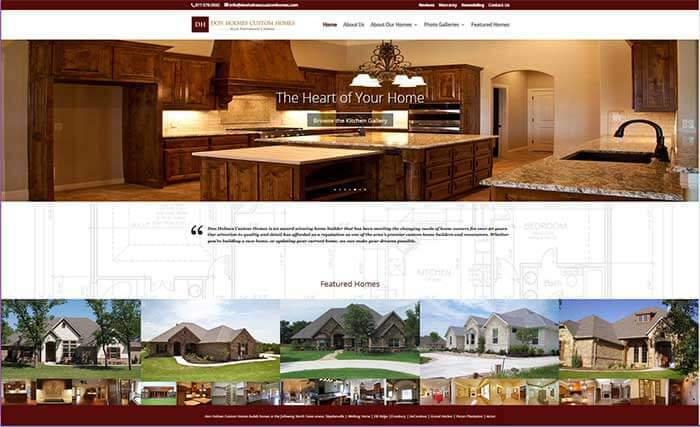 Don Holmes is a custom home builder based in Granbury, TX. 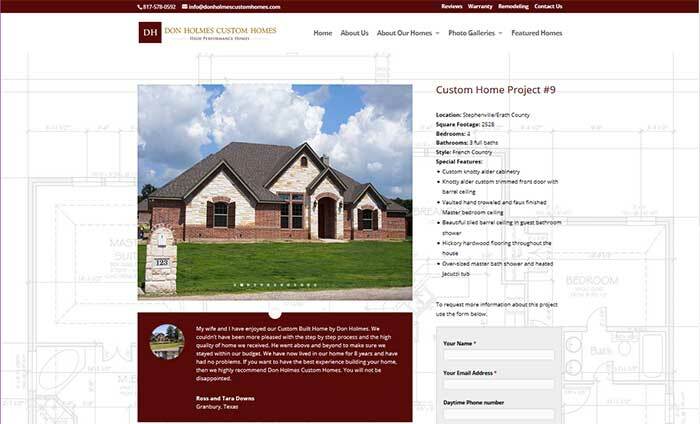 Don needed a site that would showcase the homes he built, give information about the standard and custom features available for his builds, provide galleries of the individual elements of each home, add to his credibility, and make it easy for potential customers to contact him. 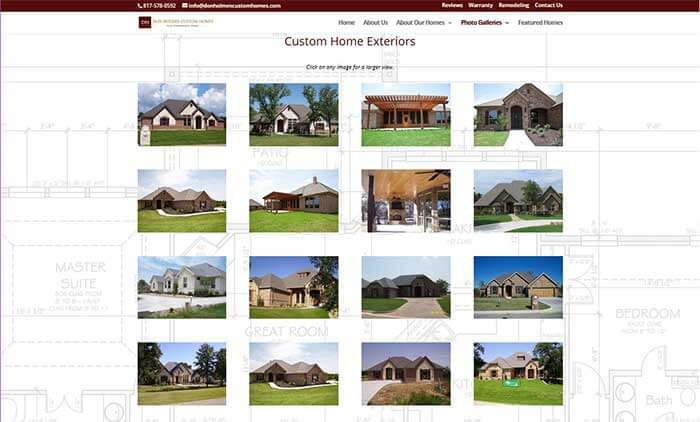 We created a WordPress website that accomplished all of these elements. 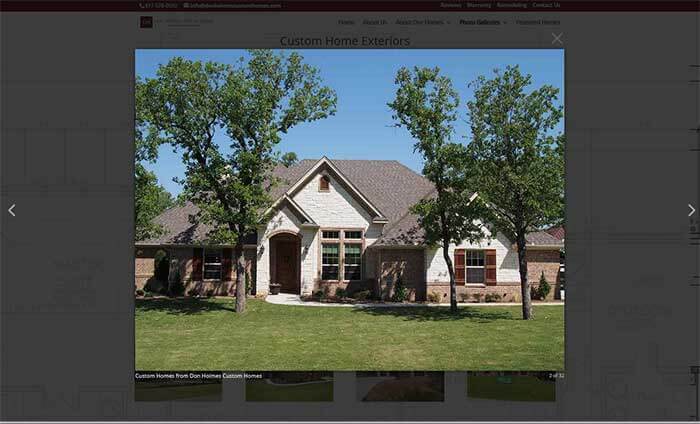 On the homes he wished to feature, we created a slideshow of images, a space for the homeowner’s comments about the build, an overview of the features each home has, and a way for potential customers to contact him if they want a build similar to the one featured.